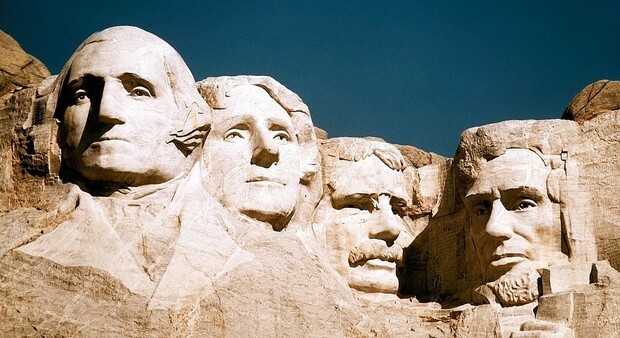 Federal, state, county and city offices are closed. Post offices are closed, and there is no regular mail delivery. Parking meters in Columbus are free, but parking restrictions at some meters can be enforced, so observe signs. There is no trash collection Monday in Columbus. The trash-color collection schedule will rotate forward one weekday until the next holiday, which will be Memorial Day, observed on May 28. Rumpke curbside-recycling and yard-waste collection in Columbus are delayed by one day. Friday’s collection will be on Saturday. Central Ohio Transit Authority buses are operating on a regular weekday schedule. All Columbus Metropolitan Library branches are open. Columbus City Schools has no classes Monday, which is a Parents-Teachers Conference Day, and most other districts have no school. Ohio State University is open on Monday and observes the Presidents Day holiday on Christmas Eve, Dec. 24. Columbus State Community College is open on Monday. Campuses were closed Friday in observance of the holiday. 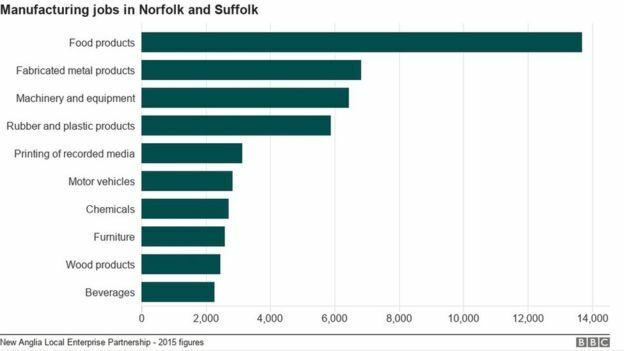 Norfolk and Suffolk face a battle to retain "non-UK national" workers after Brexit, it has been claimed. A report examining consequences of leaving the European Union (EU) identified challenges and opportunities for the economies of the two counties. It was commissioned by the New Anglia Local Enterprise Partnership (LEP) and Norfolk and Suffolk county councils. A government spokesman said it was aiming for a "bold and ambitious economic partnership" with the EU. The report, compiled by consultants Metro Dynamics, said "thousands of Eastern European workers pick fruit, vegetables and salads" in Norfolk and Suffolk. 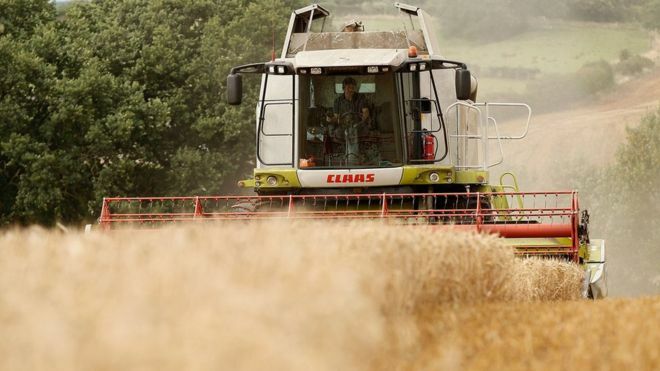 "Without access to a ready supply of relatively cheap EU labour and absent desire among UK nationals for agricultural work, farms may find it difficult to locate sufficient work for the season," it said. The "non-UK EU nationals" might view British labour markets as "less desirable", meaning it is "highly likely" migration from the EU would drop. Businesses also need to source alternate funding to replace some EU grants, with the report highlighting money given to the Galloper, Sheringham Shoal and Greater Gabbard wind farm projects off the Norfolk and Suffolk coast. The report said Brexit also presents opportunities, with a chance to formulate a "regulatory regime" for the UK that could cut "red tape" while "boosting competition and investment". 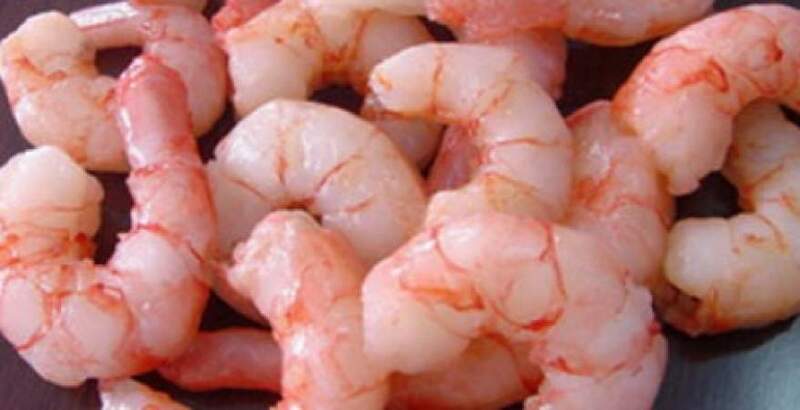 It said there would be chances for businesses to exploit new markets. This is the second report in a week to deliver gloomy predictions for the region post-Brexit. Last week analysis by the Treasury suggested that our economy could slow down by as much as 8% over the next 15 years. Those who ran the Remain campaign and warned of economic catastrophe are quick to say "we told you so". But the truth is that at the moment no-one knows whether we'll be better or worse off after Brexit. Economic predictions are hard to make at the best of times. On top of that, no-one knows what our final relationship with Europe will look like. The government talks about it being "deep, special and bespoke" but until it is agreed no one can predict with any accuracy what the impact will be. So these reports are useful because they flag up potential problems but their authors are in the dark as much as the rest of us. 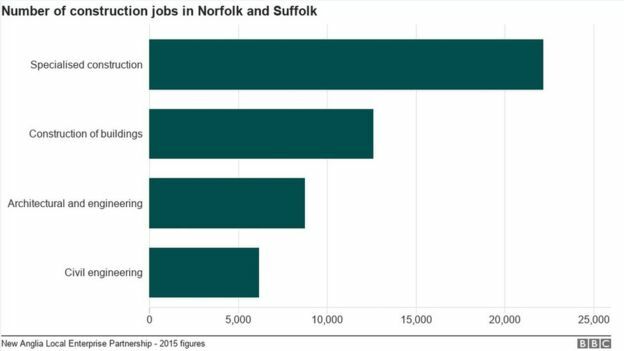 On the construction sector, the report says about 50,000 people in Norfolk and Suffolk are employed in the building trade, which is "highly dependent" on free movement of workers from the EU. Doug Field, chairman of New Anglia LEP, said: "This comprehensive piece of research highlights some of the possible impacts of Brexit, including challenges for the local labour force and for funding and investment. "We know that Brexit will have a significant impact and while there are still a number of uncertainties, it is useful to be able to see a fuller picture of how our key sectors may be impacted." The government spokesman said: "We are seeking a bold and ambitious economic partnership with the EU that is of greater scope and ambition than any such existing agreement. "After we leave the EU, we will put in place an immigration system which works in the best interests of the whole of the UK. "There will be an implementation period after we leave the EU to avoid a cliff edge for businesses, and EU citizens already working in the UK will be able to stay." 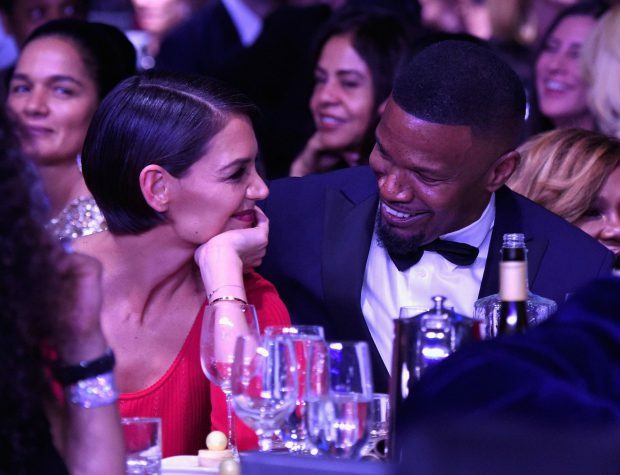 It looks like Jamie Foxx really doesn’t want to talk about his romance with Katie Holmes. The couple finally went public after four years of dating last September, but they’ve still been playing it cool. And although they were pictured looking all lovey-dovey at a pre-Grammys party, it doesn’t look like we’ll be getting the lowdown on their relationship any time soon. Jamie, 50, stormed off a live TV interview after a reporter asked him about his actress girlfriend. 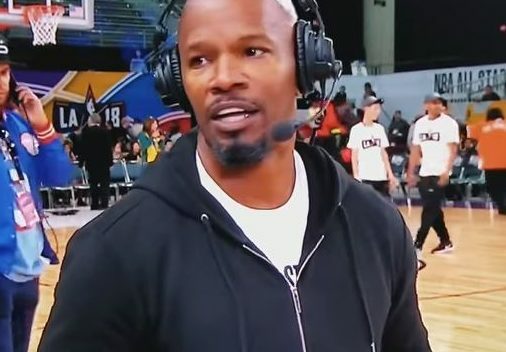 The Ray star was on ESPN as he prepared to play on Team Clippers as part of the NBA All-Star Celebrity Basketball Game alongside stars including Justin Bieber, Quavo and Nick Cannon. Smith, who was back in the studio, then asked: ‘I know you prepared, because I saw pictures. Did you and Katie Holmes play basketball for Valentine’s Day, like some real Love and Basketball game? Jamie smiled, took off his headset and began to walk away, with an assistant unclipping the microphone from his clothes. The actor silently left to begin warming up, with Smith saying: ‘Uh-oh. Did we lose him?’ Well, we guess a gentleman never tells. Katie, 39, and Jamie were seen emerging red-faced from a basketball game on Valentine’s Day in a rare public outing. 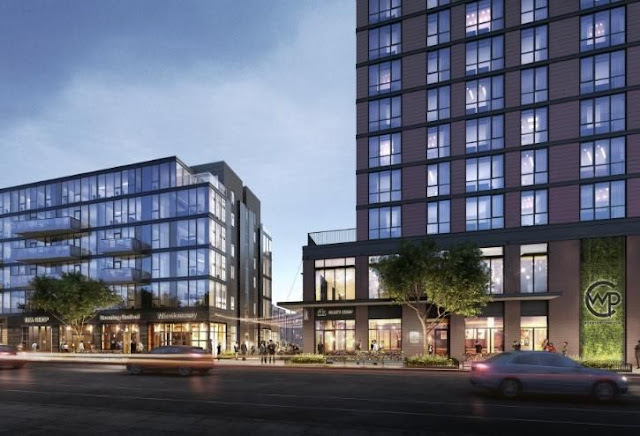 Hubbard Street Group and Centrum Realty & Development announced leases with Target and Salon Lofts within the second phase of the Wicker Park Connection project. It is the latest update to a $140M, multiphase redevelopment of the former Wicker Park Commons site into a mixed-use site featuring apartments, townhomes, retail and restaurants that will bring new residents and retailers to Wicker Park's Polish Triangle. The 13K SF Target store at 1644 West Division won formal approval from community groups and will anchor the retail component of Wicker Park Connection's first phase, a 60-unit apartment building. The second phase, a 15-story, 146-unit apartment building, is scheduled to open in June. What may be the most important component of the redevelopment is Hubbard Street Group's commitment to open space. One-third of the 2.5-acre site is dedicated to open space, including an S-shaped public plaza connecting Division Street and Milwaukee Avenue. To facilitate this, Hubbard Street is moving 170 parking spaces either underground or inside buildings. 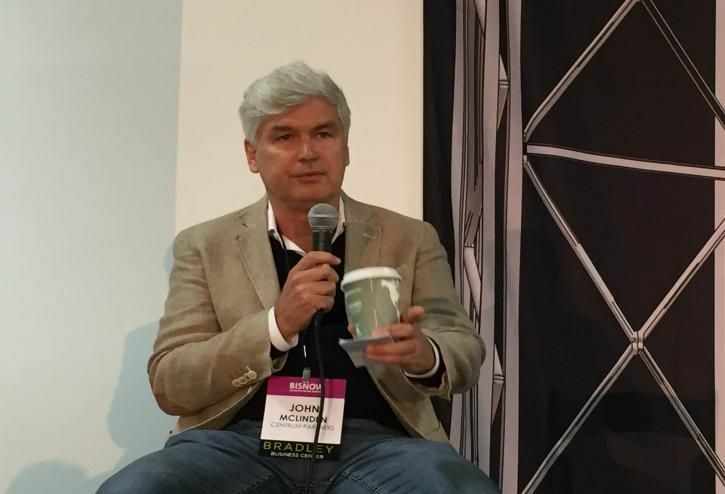 Hubbard Street founder John McLinden said Wicker Park Connection will redefine the Polish Triangle for years to come. "This is the true heart of Wicker Park," McLinden said. McLinden said dedicating this site to open space was part of a 2009 master plan drafted by the Wicker Park-Bucktown Chamber of Commerce. Hubbard Street took the density it was entitled to and concentrated height to one large tower, allowing it to open up 30K SF for open space. It also took patience. Centrum sold the retail portion of Wicker Park Commons in 2015 and waited another two-and-half years before it bought out a lease from Kmart, allowing Hubbard Street to turn its parking lot into open space. The changes to Chicago's TOD ordinance, meanwhile, allowed Hubbard Street to conceive of the underground parking idea. "It is expensive to park underground, but getting the parking off the surface is worth it," McLinden said. McLinden said Hubbard Street will add amenities to the open space to bring the community together, including water jets for kids to play in and public art. McLinden said Hubbard Street is in talks with a couple of restaurant tenants to join Salon Lofts in Phase 2 of Wicker Park Connection. 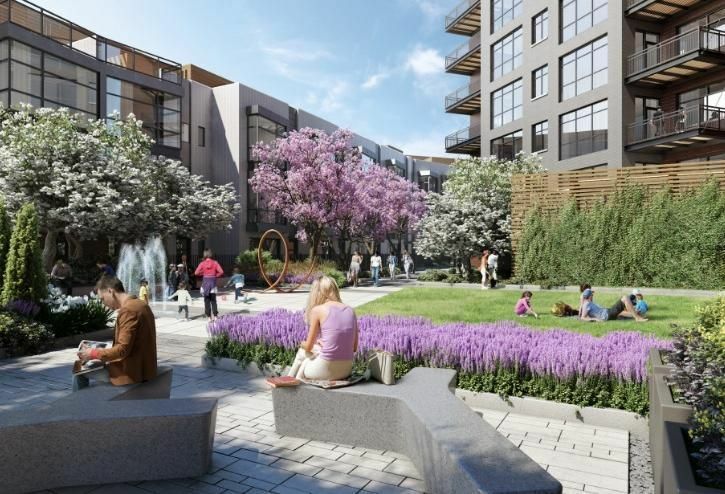 Phases 3 and 4 will include 17 townhomes and a seven-story condo building. Near the end of his son's life battling cancer, Charles Millard said his son Christopher told him that "he wanted to come back as a wizard and make people well." 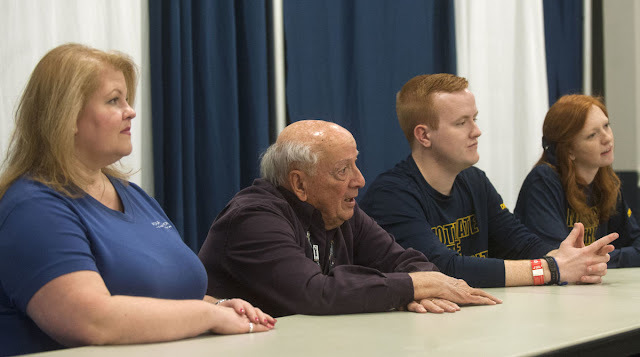 The day after their son died, Millard, along with his wife, Irma established Four Diamonds, and Millard said the students are fulfilling Christopher's dream. Since beginning in 1973, Penn State THON has evolved into the largest student-run philanthropy in the world dedicated to fighting childhood cancer. It didn't start out this way, however. The very first THON, held in the HUB-Robeson Center's Ballroom, lasted only 30 hours, as opposed to the 46 students now know. That weekend, they raised over $2,000. In a pre-THON press conference, Millard could only say describe the changes THON has undergone as "Fabulous." "It just keeps sprouting and getting better every year," Millard said. "It's grown to one-of-a-kind in the country, one-of-a-kind in the world, that's pretty awesome." Tearing up, Millard described one particular moment of a child coming up to him, thanking him for "saving his life." 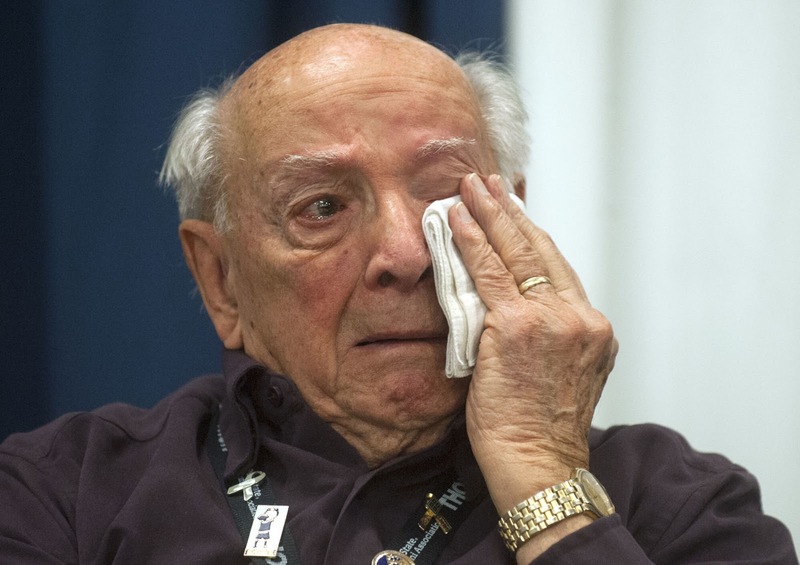 "It's pretty hard to take," he said, with tears in his eyes. "It's been an interesting experience." Andrew Smith, 2018 THON executive director, said these past few months of preparation have gone by very quickly. Now, Smith along with thousands of others part of THON are gearing up for another weekend of 46-hours, all for the kids. "I wouldn't go back and change anything," Smith said. "Every single day has brought new opportunities, new experiences and that's something I wouldn't change for the world." Hepatitis A is a contagious liver disease that results from infection with the Hepatitis A virus. It can range in severity from a mild illness lasting a few weeks to a severe illness lasting several months. 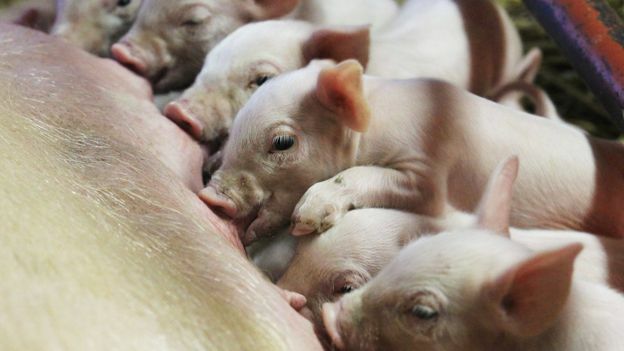 Symptoms can include fever, diarrhea, nausea, vomiting, abdominal, and sometimes yellow eyes or skin and dark urine. A person can get Hepatitis A when they eat, drink, or touch their mouth with food, liquid or objects (including their hands) that have come into contact with stool from an infected person. Anyone experiencing these symptoms should seek medical attention immediately. Saturday, Feb. 17, 10 a.m. – 2 p.m.
Monday, Feb. 19, 10 a.m. – 2 p.m. The hepatitis A vaccine is also available through some health care providers and many pharmacies. Call ahead to ensure your provider or pharmacy has the vaccine available. The hepatitis A vaccine consists of two doses, given six months apart, and costs $36 per adult dose. If you have insurance, check with your healthcare provider for possible benefit coverage. To reduce the risk of hepatitis A, wash your hands frequently and get the hepatitis A vaccine. For more information about hepatitis A, visit www.oakgov.com/health. 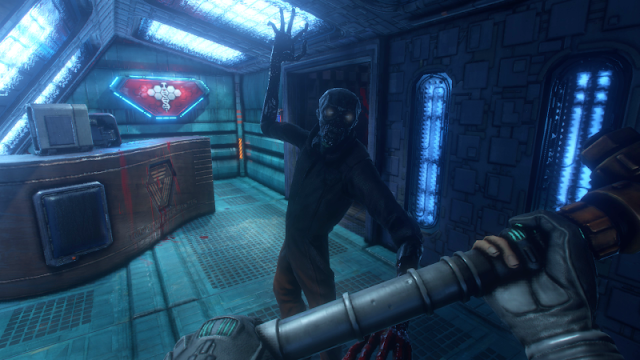 The upcoming remake of System Shock, Kickstarted two years ago for over $1.3 million, is now on “hiatus” thanks to problems with development, the company behind it said today. Nightdive Studios, an independent game developer and publisher best known for re-releasing old games on modern platforms, said in a Kickstarter update this afternoon that the team behind this remake plans to “reassess” development before it returns to the project. CEO Stephen Kick said that they had overscoped, “envisioning doing more, but straying from the core concepts of the original title.” There’s no timeline for when we’ll see the planned overhaul to the classic 1994 first-person action game, but it’s looking grim for Kickstarter backers.